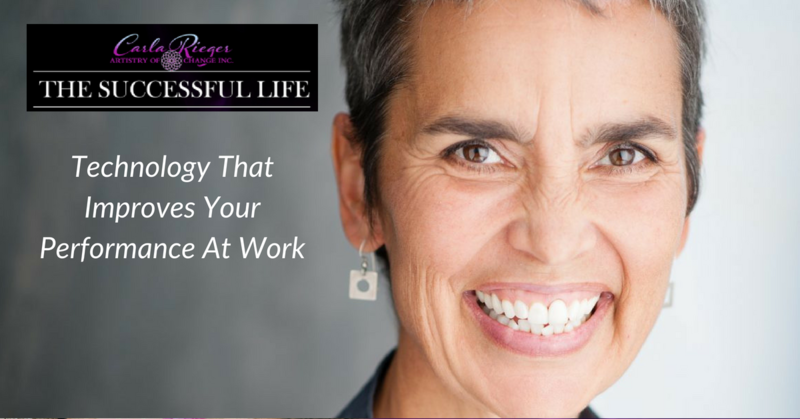 Carla Rieger interviews Colin Sprake, CEO of Make Your Mark Training & Consulting Inc.
Colin understands how important it is to upgrade your mindset if you want to have a successful business. That’s one of the keys to his massive success and so he teaches that to his small business clients. What I love about Colin is that not only is he a very smart business man but ALSO heart-centered. He’s known as the Business Sherpa acting as your climbing guide as you scale the Mt Everest of your business. He’s a South African native, and a serial entrepreneur with decades of experience building multiple million dollar businesses globally in various industries and economies. Colin founded Make Your Mark Training & Consulting in 2004. 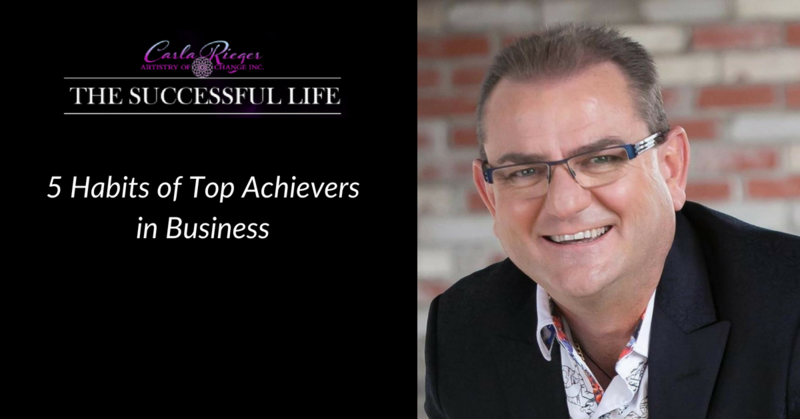 He offers live and online training and coaching, he’s got tens of thousands of very happy clients – I’ve seen and heard the reviews! And what I love about his approach is that it creates that much needed community and accountability that small business owners need and want, so they ACTUALLY produce results. He’s a bestselling author and highly respected business guru around the world, and much, much more. WOULD YOU LIKE TO KEEP YOUR LISTENERS MORE ENGAGED? If you look at a brain scan of someone listening to a story it’s far more engaged than when listening to concepts. If you’re not using stories, then people ignore you. This is for you if you ever need to influence people to succeed, to achieve their goals or to make a positive change. Whether you speak to people individually or to groups, people LOVE stories. 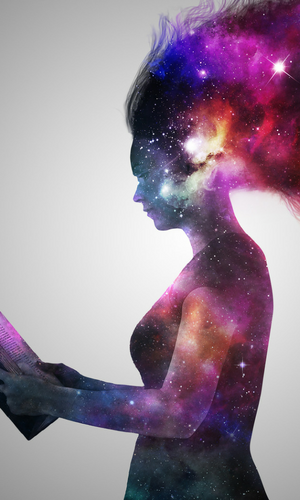 You can open people’s minds to new possibilities, because stories bypass the judgemental mind. People will “get” what you’re trying to communicate so much more effectively through stories. Here you’ll discover a 5-part story structure, where to find good stories to tell, why you need a personal WHY story, how to use stories in social media, and how to get over public speaking anxiety. This is an interview with acclaimed motivational speaker, Carla Rieger. Renée Safrata and the people at VIVO Team understand HOW to shift mindset so that it positively affects performance at work. Her company is a leading HR Tech firm that has created an algorithm and learning platform to help companies understand the cost of team and leader inefficiencies. They provide solutions to get teams and leaders functioning at exceptionally higher level. In the past, it’s been harder to measure the effects of behavior with numbers. Renée’s team is changing that. Their learning experience platform diagnoses, trains and analyzes team performance to build teams and develop leaders so that the company sees much better results. Over the past 31 years, Renée has worked with over 300 companies and 2500 business executives throughout North America, helping them connect and adopt new behaviors. That way teams function much more effectively which dramatically impacts the bottom line. In this podcast Sally from “This Moved Me” interviews Carla Rieger on how to build your business and career being a great presenter. It’s about how to build your belief in yourself to keep going through the inner and outer obstacles to success. Carla is also the co-founder of the MindStory Academy https://mindstoryacademy.com/ and is a sought after motivational speaker around the world, helping you to break free from limiting stories about yourself so that you can live a more fulfilling life. Have you ever rushed around anxiously trying to get ready for a relaxing vacation? It’s ironic, but all too common. I used to think that if I just worked longer hours and rushed faster that the feeling of overwhelm would eventually subside. But I now notice that never really works over the long term, because the rate of change is just speeding up and rushing faster is an impossible expectation. There is a deeper, more powerful and longer lasting solution. Regularly feeling overwhelmed is just a bad habit of mind and actually a cultural transfer for which many people pay a big price. A recent poll of entrepreneurs and people in high-pressure jobs had task lists for just one day that would realistically take an average of two weeks to complete. Many university research studies have proven that un-doable To Do lists make many people less productive because the overwhelm causes inertia. FOR MORE TOOLS ON TURNING OVERWHELM INTO CALM PRODUCTIVITY CLICK HERE. 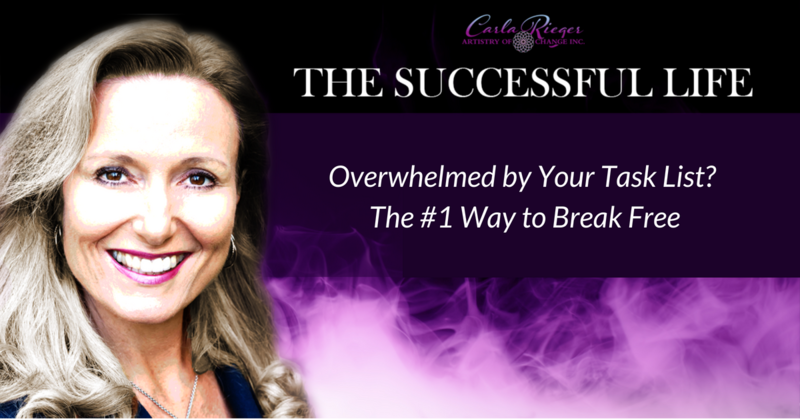 FOR PRIVATE COACHING WITH CARLA RIEGER CLICK HERE. What’s Your TEVAS Manifestation Style? HAVE YOU BEEN STRUGGLING TO REACH YOUR GOALS? You have that one goal that you’ve been trying to reach. You take all the steps and actions, you plan, you keep a positive attitude, but your goals is still always just out of reach, or you just feel flat out stuck. THE TRUTH IS THAT YOU MIGHT BE WORKING AGAINST YOUR NATURAL STRENGTHS. Good things you’ve manifested in your life before, came first through your imagination. You imagined it happening through the senses of sight, sound, touch, writing, reading, emotions. Then it manifested into form. Many people teach manifestation only through using visualization. Do you need help overcoming obstacles in your life? Dolly Garlo is an RN, JD, Board Certified Business, and Leadership and Legacy Coach. She is a speaker, trainer, and consultant who works with masterful professionals and senior executives in business and government service. Having worked hard and attained a level of career mastery, you are ready for something different, more, new, but you’re not sure what. Maybe you’ve climbed the ladder as far as you want to go, or to find it’s just up against the wrong wall. The path that got you here, education, professional training, career development, even marriage and family, had pretty clearly set out milestones. What’s next may not be so clear. Most people spend more time planning a vacation than they do designing a life – even if they know how and can manage the obstacles that inevitably get in the way. What lies ahead may feel like unknown territory. And it seems time is accelerating. If not now, when will you figure out how to pull it all that together? For Dolly Garlo that time came after a personal epiphany made her realize there was more for her to do with her life, experience, and career expertise. So, she sold her successful health care law practice to create work with more passion and joy, transform a family farm to pioneer a park system, find happiness in marriage that she never thought possible, live on an island and spend more time engaged in the environmental and humanitarian activities important to her. And now she helps other professionals discover how to realize greater fulfillment in all areas of life… especially women, who have fewer guides and role models for this exciting new chapter at mid-career and beyond. Here’s the good news: Dolly has ‘cracked the code’ on how to create greater fulfillment in life and career quickly, easily and comprehensively, tested by work with clients who came to her ready for their own reinvention. She created a step-by-step process that covers what research tells us are the key areas that define personal satisfaction. When it’s time to pull that altogether for yourself, Dolly has the roadmap you’ll need for that journey. Fasten your seatbelt because you are about to learn how to structure your own customized map full of what is most important to you, and get started putting it in place! ====================================== Carla Rieger is the Director of The Artistry of Change Training Inc. specializing in presentation skills, communication skills and team leadership. She is an internationally known motivational speaker, trainer, coach and online media personality. This is an interview Mary Sue Rabe, Founder of The Women Healing the World organization. She shares a powerful story of forgiveness, and shows you how to try it for yourself and maybe get some freedom from negative emotions that are weighing you down. If you’ve been letting resentments, regrets and guilt get in the way of inner peace and happiness, give this a try. Ho’oponopono (Ho Oh Pono Pono) roughly translates as “to make right”, “to correct”. It’s an ancient transformational and healing technique originating in Hawaii. Its a simple message of 100% responsibility, repentance, and gratitude that has been transforming the lives of all it touches. Originally practiced by the native Hawaiians, Ho’oponopono was primarily a group based ceremony, used to solve community based problems, and disputes. It has similarities to many indigenous shamanic practices found throughout the world. You may be familiar with the short version which is four sentences, made popular by Dr. Joe Vitale. This is a longer version that is as powerful for healing inner self judgment as it is for healing negativity between two people. Enjoy! Explore these 4 common law of attraction myths with Carla Rieger so you can start manifesting success effortlessly.